The first choice of a blogger is to use WordPress as CMS. It is indeed a good choice. It can be really messy though if something breaks ( for example a theme or a plugin) and all you get is blank screen ( most of the time ). If you know a little bit about PHP , your friend in need will ask you to go to the file wp-config.php , open it and set the variable value of WP_DEBUG as true. 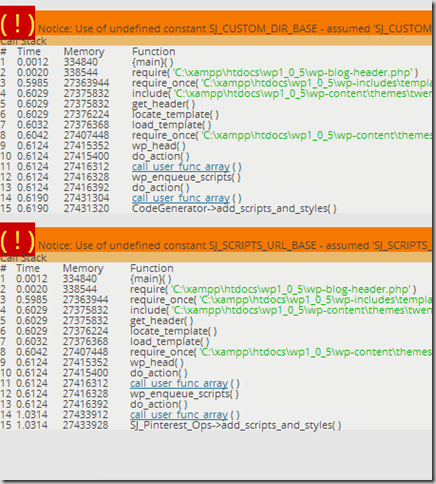 If you are not well versed with PHP , your first reaction is PANIC. But don’t worry, it is not a backbreaking change and you just need a notepad to change it back to original. You can always set it back to false if you face any problem. Just make sure you have access to the wp-config file. 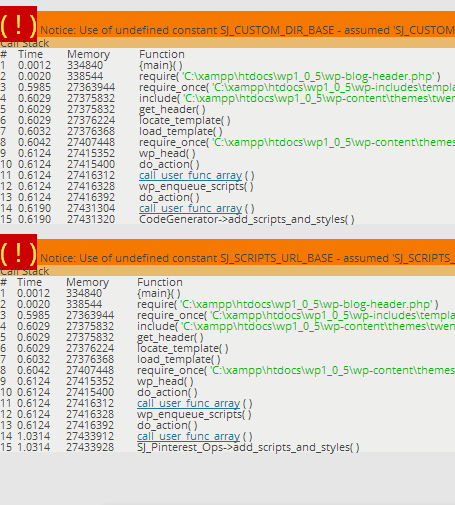 Enabling WP_DEBUG will cause all PHP errors, notices and warnings to be displayed. Because of this the error occurs at the particular line number at a file location. Now all you need to do is to send this information to developers of plugins/themes that you are using and they will correct this error. Once you correct all the errors you should see no errors/warnings at all. In that case you should just set the variable back to false. Caution: On your live site never allow this to be true for long time. Just copy the error and set the WP_DEBUG back to false. On your test site you should always keep it to true to see any bugs in advance. Next post: What’s new in Share Juice Pro 4.0 ?